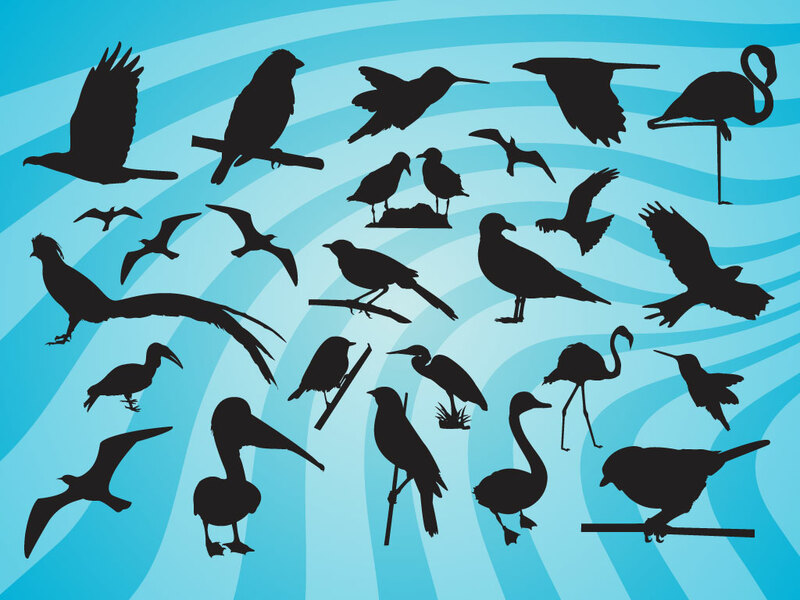 This bird silhouette pack comes with of seagull, sparrow, stork, eagle, flamenco, hawk, pelican and hummingbird. Great vectors to use on your nature and wildlife themed designs. Download as AI and PDF. Tags: Animals, Birds, Flying, Icons, Nature, Silhouettes, Symbols.